Entrepreneur’s Corner | The Internet Marketing Guru Who Cried Customers! Fairy Tale? The town’s people soon tired of the Sheppard Boy who cried wolf, and much like the fairy tale, business owners have become skeptical of the Internet marketer’s claims of increased business coming from the World Wide Web. Let’s face it, the Guru said “Build a company website and they will come!” and it did not happen. 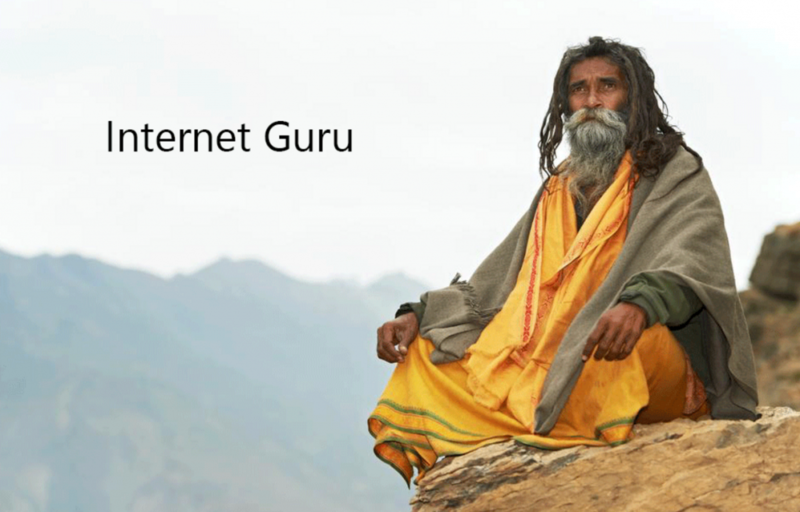 The Guru said “Create a business blog and they will come!” and they did not show. Then the Guru said “Do social media and they will come!” but again the consumers did not appear. The same is true with search engine optimization, listing enhancements, profile upgrades, pay-per-click services, banner advertising and everything else the local companies have shelled out the big bucks for. So far, the return on investment has either been immeasurable or nonexistent for the vast majority of business owners. The reasons for this outcome are actually quite simple. I suppose that many business owners today are too young to remember the time when the public had only one main source for business information, the community phone directory. Who remembers, “Let Your Fingers Do The Walking”? Before the Internet, the single printed phonebook was the only source directory available for customers and consumers seeking products and services in their community. The Internet has not only wiped out this single information directory source, but has also in its place bombarded the consumers with thousands, if not millions, of choices as to how and where they get their local business information. TMI (Too Much Information)? Perhaps; but the fact remains that business owners and marketers must now deal with this electronic phenomenon. However, there is a proven solution that works effectively to generate revenue from an Internet marketing campaign if it is monitored and managed correctly. However, it first is important that business managers understand their new role in making this happen. Today your product and service advertising is much like harvesting firewood for the winter. Let’s say the wood rounds are the Internet, the axe and chainsaw are the tools you use to promote your company on the Web, and the split and stacked wood is the customers harvested from the Net. But what is missing in this example is the single most crucial element for success…..THE WOOD SPLITTER! Someone has to chop the wood! In your business someone needs to proactively generate the connections, harvest leads, develop prospects and capture new business customers from the Internet campaign you create. It is the same as cutting the logs, splitting the rounds, and stacking the wood for the winter. The fact is, whether you want more business from your marketing campaign or firewood for the winter, someone needs to do the work. At The Rojas Group we call this process the MyCMS or Custom Consumer Management System. After you build your website, create your blog, develop relevant content, and post your profile on all the social media sites; you then need to generate connections, harvest the leads from those connections, develop new business prospects from those connections and finally capture new business sales and loyal consumers from those connections. Most marketing guru’s and business managers are just beginning to get this message, but like the wood cutter in the picture, they know just enough about the task to be dangerous. So that means if you are a struggling business managers and entrepreneur you have two choices; do the work yourself or hire someone to do it for you. FYI: Did you know that through use of the MyCMS Concept it is entirely possible to build a highly productive online marketing presence without spending one dime on advertising? Before you decide to do-it-yourself consider this: The best way to grow your business is to surround yourself with the experts that are strong in the areas where you are weak. At elloLasVegas we can provide you a complimentary consulting services to assist you with any questions you may have about the future of online marketing and how to make it work for you.